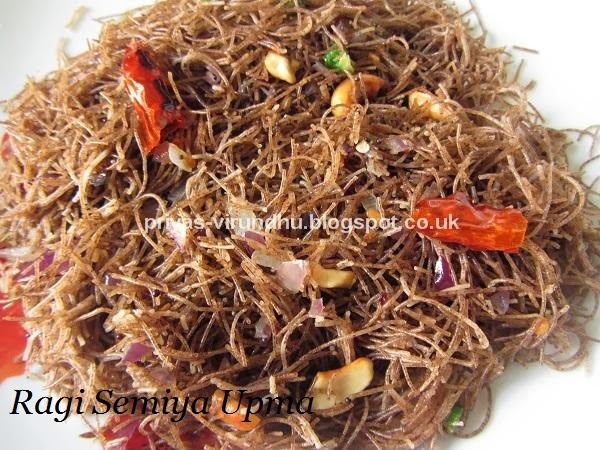 Today, I am going to share another very healthy, quick, tempting and delectable Samai Uppu Kozhukattai. 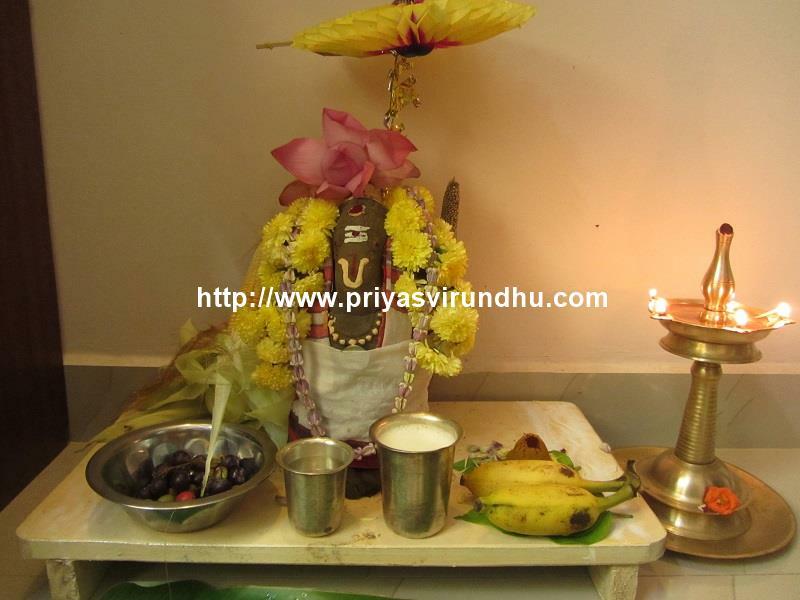 This samai kozhukattai can be done on pooja days and served as neivedhyam. It can be had either for breakfast or dinner or can be served as quick evening snack for kids. 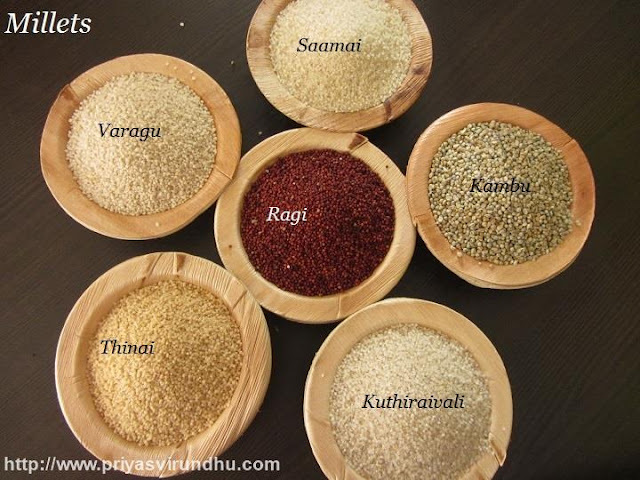 Little Millet/Samai/Kutki are smaller than those of other common millet varieties. Saamai is rich in fibre helps in reducing fat and is good for bones and muscles. Saamai also has high iron content and high antioxidant activity. It helps in controlling blood sugar level and helps in healing diseases related to stomach. Do check out interesting Millet Recipes here and All About Millets here. 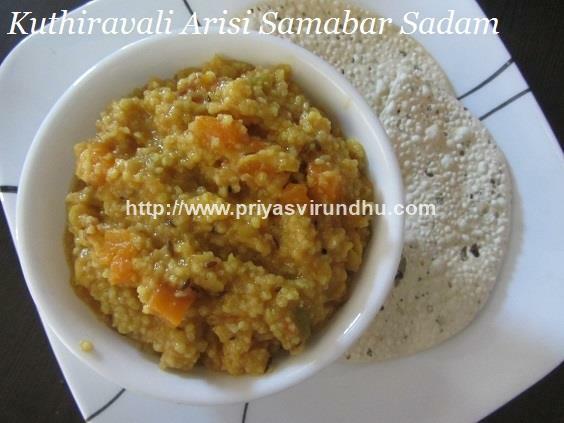 For now try out this super healthy Samai Kozhukattai and post your comments here. 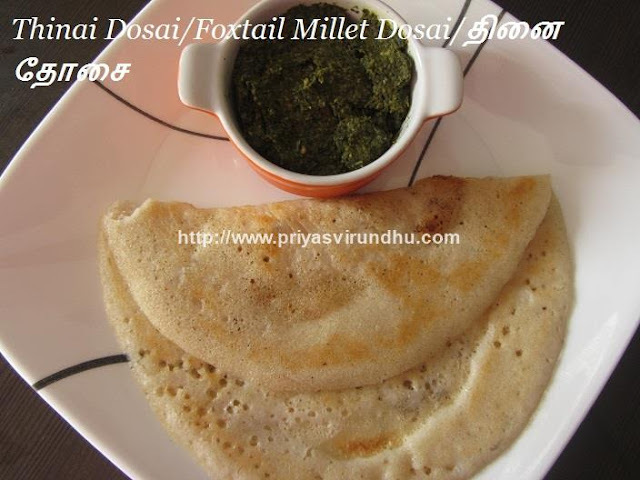 I wanted to share a very healthy dosai and I chose to post a super delicious and super healthy Thinai Dosai/Foxtail Millet Dosai/ தினை தோசை. Thinai/Foxtail millet has been a staple food among the people in South India for long time from the Sangam period. It helps the body by reducing the factor of diabetes, ideal for reducing cholesterol of the body and helps in increasing the metabolic rate. Thinai is highly rich in anti-oxidation which removes all the acidic elements away from body. Thinai promotes digestion, increases energy levels to a great extent. Thinai is a great source of protein, every 100 gms of it contains 12.3 g of protein, 8 g of fiber, 3.3 g of essential minerals, 2.8 g of iron 31 g of calcium etc. For now try out healthy Thinai Dosai and post your comments here. Meanwhile do check out other interesting and healthy Millet/Sirudhaniya vagaigal recipes and all bout Millets/Sirudhaaniyangal in the links and enjoy. As I promised earlier, I am trying to more post millet/sirudhaaniya vagaikal recipes. 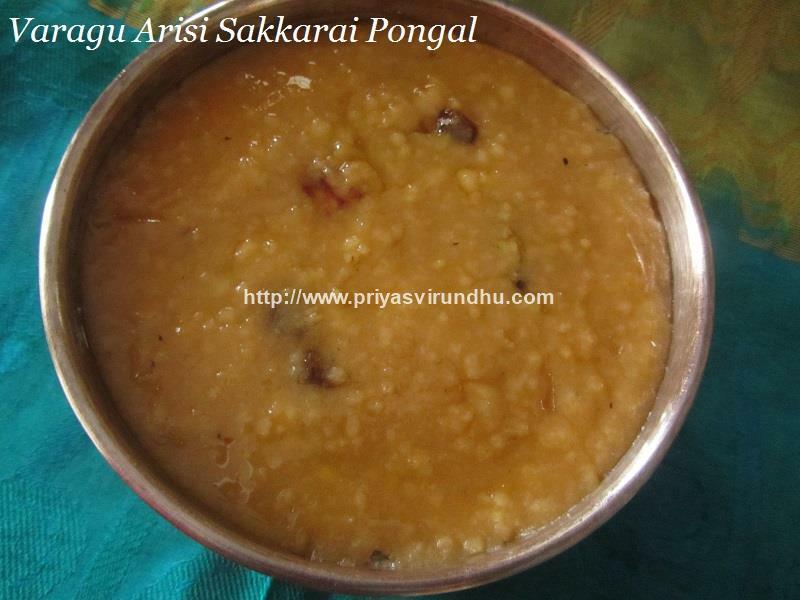 For today, I am going to share a very healthy, filling and flavourful Varagu Arisi Ven Pongal. 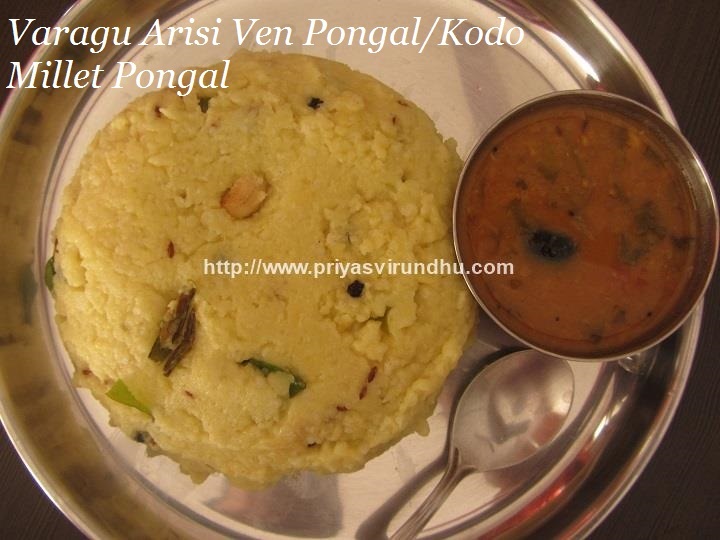 Pongal is a very common South Indian Breakfast made with raw rice and moong dal and tempered with green chillies, ginger, black pepper cumin etc. To make this pongal more healthy you can replace the raw rice with varagu arisi and make a tasty and healthy breakfast. Varagu Arisi is loaded with protein, vitamins, minerals and fiber. 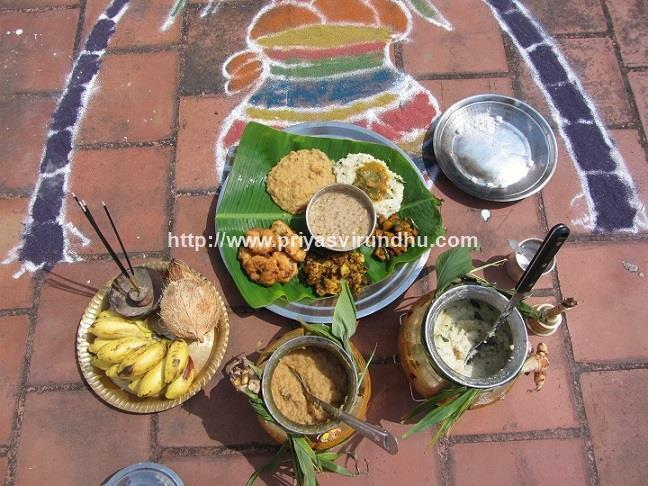 Varagu when consumed regularly helps to keep diabetes under check and controls obesity. This tiny grain is highly nutritious and is “gluten free”. Have shared some of the benefits, I think it’s time to move on to the recipe. 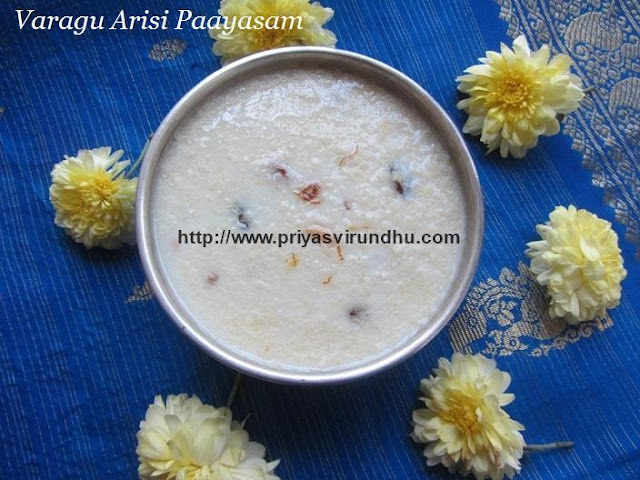 Do try out this healthy and delicious VenPongal and post your comments here. 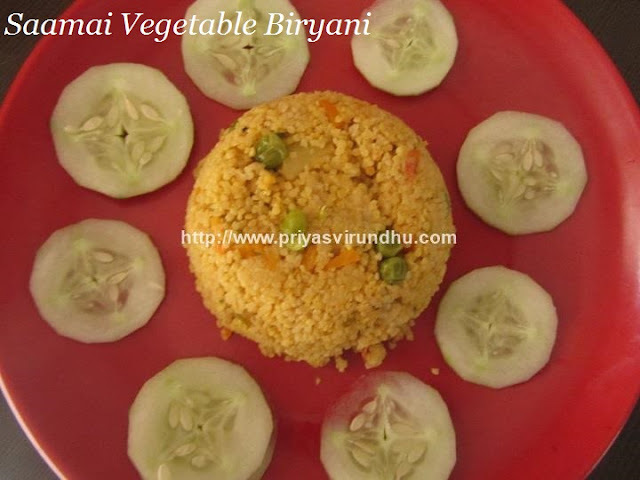 Meanwhile do check out other interesting Millet/Sirudhaaniya recipes here. Kambu/Pearl Millet/Bajra is a very common and abundantly available millet, because India is one of the largest producers of Kambu. I have posted earlier Kambu recipes like Kambu Dosai, Kambu Puttu and now I going to share with you all a very healthy and tasty Kambu Idli. Kambu is loaded with proteins and minerals. It is a great source of phosphorous, which plays an important role in the structure of body cells. Consumption of Kambu/Pearl Millet helps in minimizing the risk of type 2 diabetes. The high fibre content in Pearl Millet/Kambu helps in weight loss. It has other important nutrients like magnesium, zinc, folic acid, calcium, sodium and phytonutrients. Yes, friends why not try something healthy and new? 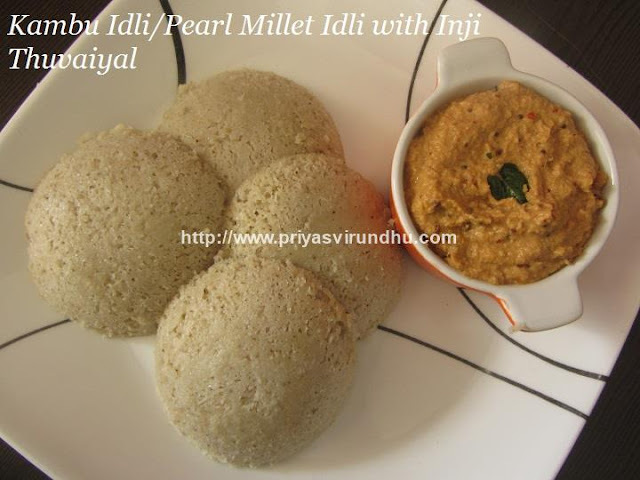 Do try out this healthy and tasty idli and post your comments here. 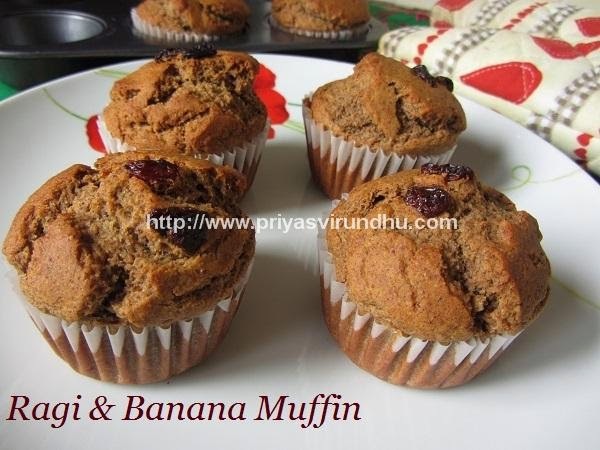 Meanwhile do check out other Millet Recipes here. Today I am going to share a very healthy and filling breakfast recipe made with Kambu/Bajra/pearl millet – none other than delicious Kambu Puttu. 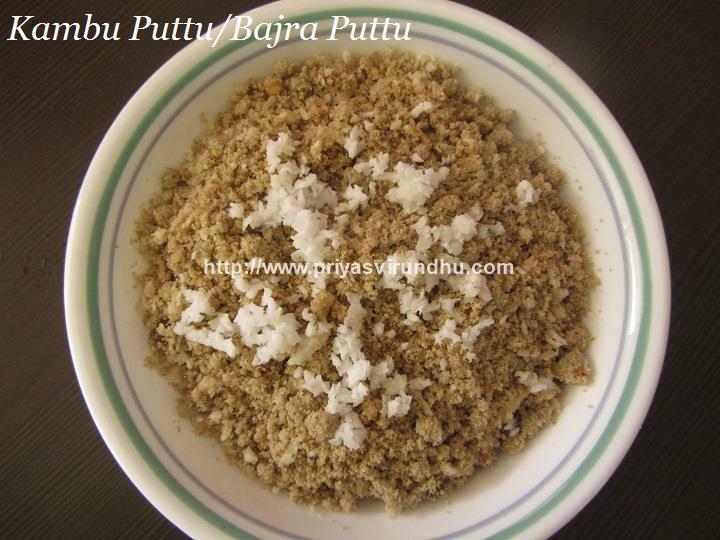 Kambu/Bajra is a very common millet variety in India. Nowadays all the millet varieties have gained back their importance. People are becoming health conscious and are using lot of millets in their food which was earlier the staple food for our ancestors. As far as kambu/Bajra is concerned it has very high fiber content, loaded with vitamin, minerals and amino acids. The high fiber content in turn aids in weight loss. Kambu/pearlmillet/bajra is easy digestible and has very low possibility of causing allergic reactions. Kambu is great alternative to rice for diabetic patients. It helps in maintaining good cardiovascular health and reduces acidity problems. Ok friends, I have said enough about kambu/bajra/pearl millet, now its time to move on to the recipe. Meanwhile do check out about all the Millet varieties I have posted earlier and MilletRecipes here. Today I am going to share one very simple, healthy and traditional recipe – Kuthiravali Thayir Sadham. Nobody will surely refuse this comfort food. 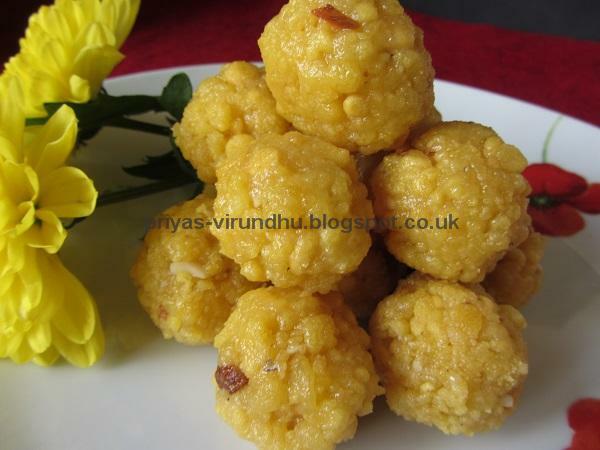 I have already posted about the benefits of Kuthiravali arisi and other millets here. So, for now I am going to move on to the recipe. Do check out other interesting milletrecipes and Vegetarian Rice Varieties here. 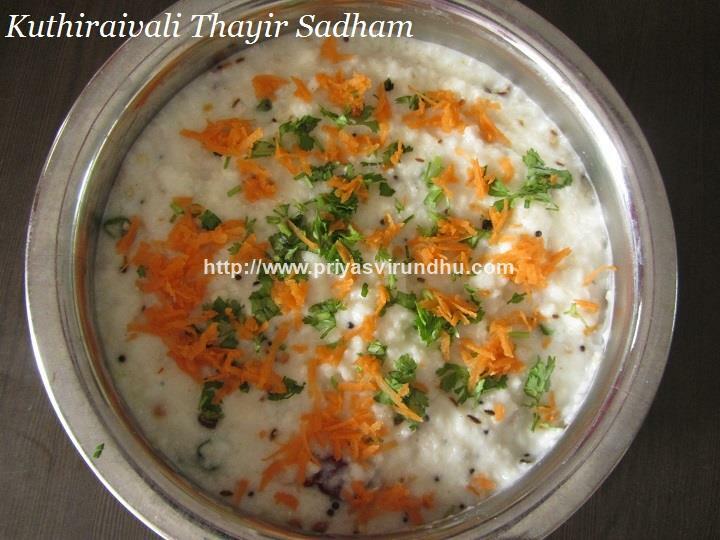 Do try out this healthy Barnyard Millet Thayir Sadam and post your comments here. A number of different small-grained cereal grasses are collectively described as “Millets”. Millets/Sirudhaniyamvagaigal grows well in dry zones as rain fed crops, under marginal conditions of soil fertility and moisture. Millets are the oldest known food to humans, known as the first cereal grains for human consumption. Millets are smaller in size and packed with nutrients. Each millet is four to five times rich in nutrients when compared to rice and wheat in terms of proteins, minerals and vitamins. I have been thinking about sharing with you all, millet recipes from my kitchen, but I was not blogging for quite sometime due to various reasons. But today I have something very special for all of you, it's nothing but Varagu arisi upma. Varagu arisi is gluten-free and is excellent source of vitamins and minerals. It is rich in fiber and digestive friendly. Studies have shown varagu arisi helps in controlling blood sugar and cholesterol. It is packed with nutrients and is great energy source for all the age groups. I have made a very simple varagu arisi upma but you can add a twist to it by adding a bowl of vegetable to make vegetable varagu arisi upma. I will post that recipe also very soon. 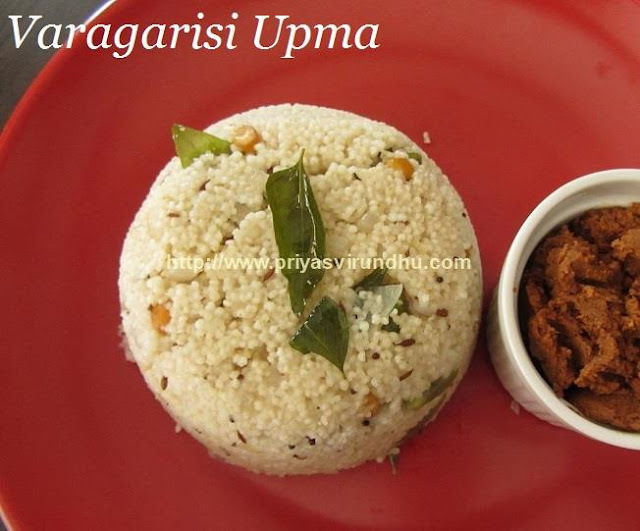 For now try out this Varagu Arisi upma and post your comments. 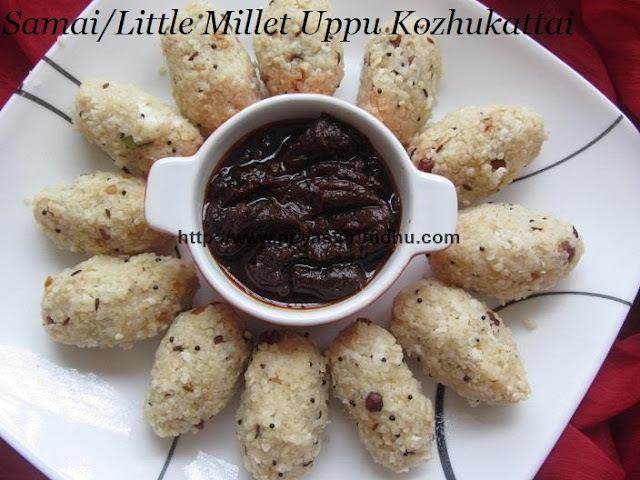 Mean while check out other millet recipes here. Today I am going to share with you all a very healthy Ragi Kanji Maavu/Powder suitable for all the age groups starting from 5 month old baby to adults. This kanji maavu is my mom’s recipe which involves just 5 ingredients and we all used to have this kanji for breakfast when we were kids. And now I give it for my kids and we all enjoy it a lot. It may have less ingredients compared to saathu maavu but this kanji maavu is packed with vitamins, minerals, builds your stamina and also digest really fast. So friends, try out this Ragi Kanji Maavu and post your feedback. 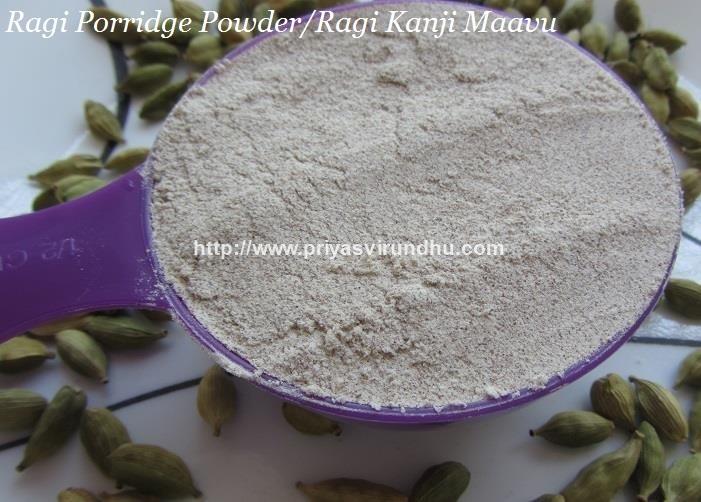 Here’s how to make Ragi Kanji Maavu with step by step photos…. Kambu/Pearl millet/Bajra are widely grown type of millest with high protein and fibre content. India is the largest producer of pearl millet/kambu. Pearl millet is known by different names Sajje in Kannada, Kambu in Tamil, Bajra in Hindi, Sajjalu in Telugu and Kambam in Malayalam. After moving back to Chennai, I tried different types of millets, one among them is the Kambu Dosai. I will be sharing more millet recipes in future. 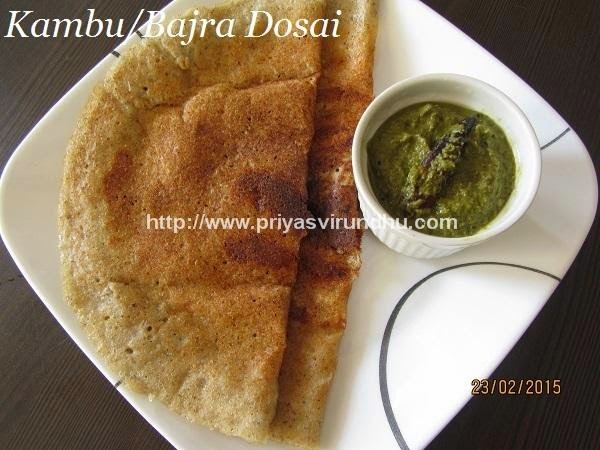 Do try out this healthy Kambu Dosai and post your feedback. 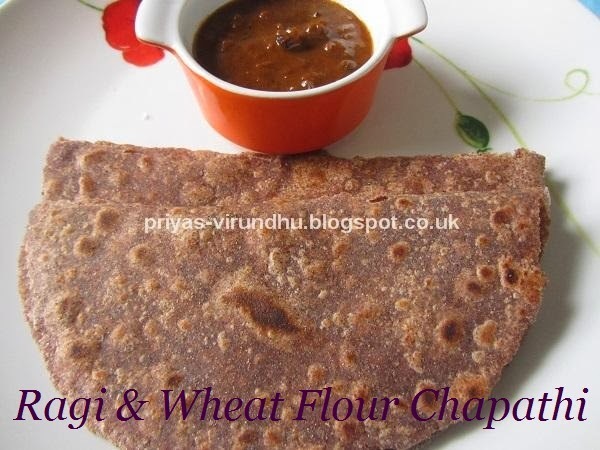 Today I have come up with another healthy chapathi – Ragi & Wheat Flour Chapathi. This is yet another easy, simple, quick and healthy chapathi for all age groups. My kids love chapathi, so I always try to include some type of millets along with the wheat flour, to make them more healthy and interesting. Let’s all eat healthy and lead a healthy life. 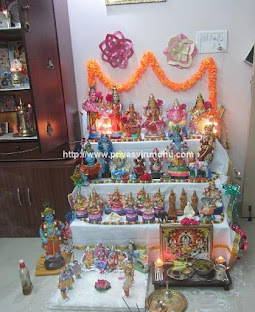 Check out my other Chapathi varieties here. 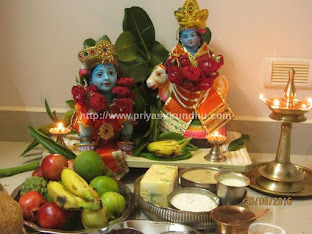 I am back after my vacation, we had great time back in Chennai. I hope you all had great Christmas and wonderful New Year celebrations. I was really missing you all a lot, thank you all friends, readers, subscribers and visitors for your continuous support and encouragement. I am blogging after about a month, so I thought of sharing with you all something very healthy, quick and yummy – Ragi Semiya Upma. Before going into the recipe I want to share a few things about Ragi. Ragi/finger millet is a rich source of Calcium, Iron, Protein, Fiber and other minerals. The rich source of fiber in Ragi helps to lower cholesterol level and is very easy to digest. Ragi cools down our body temperature in hot days and helps in weight control as well. The rich natural source of calcium in Ragi helps in strengthening the bone in growing children, older people and keeps everyone healthy. Check out my other Ragi dishes like Ragi Koozh, Ragi Kanji, RagiVadai, Ragi ladoo, Ragi Dosai, Ragi Puttu, Ragi Adai in the respective links. Ragi kanji is a very healthy way to start your day. This is a perfect porridge even for small babies. I used to give this to my girl when she was 6 months, she was lactose intolerant. So I used to substitute milk with yogurt (thayir) and no sugar, just salt. When you start for your babies, give small quantities and gradually increase the amount. Later on when they turn older like 12 months or above you can start with the sathu maavu kanji available in shops or make it at home as well. I grew up on ragi kanji when I was a kid, now my kids are having it. Even now me and my husband have it at least two or three times a week for breakfast. 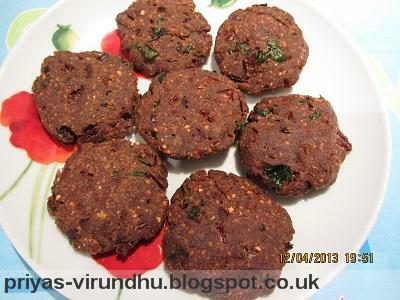 Anyone ready for healthy and delightful vadai, here it is – Ragi Vadai. Once you start eating it you cannot stop eating this. Do check out other Vadai Varieties here.